At the HANNOVER MESSE, HARTING will show products and technologies for the Ethernet communication of today and tomorrow. Miniaturization is one of six trends that well describes the developments in Integrated Industry. Components and entire machines are shrinking in all areas of industry and automation. At the same time, digitization is leading to an ever wider diversification of smart devices and decentralized computing power down to the field level. 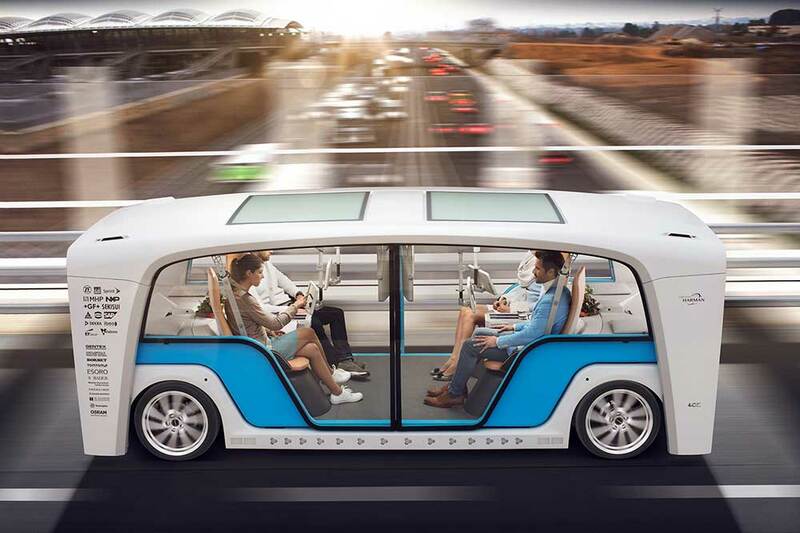 Whereas in the past there were large data highways and branched bus systems, today ever more intelligent components such as camera systems, sensors and actuators mean that fast Ethernet is branching down to the farthest reaches of the field level. They are the lifeblood of an increasingly and faster networked industry. 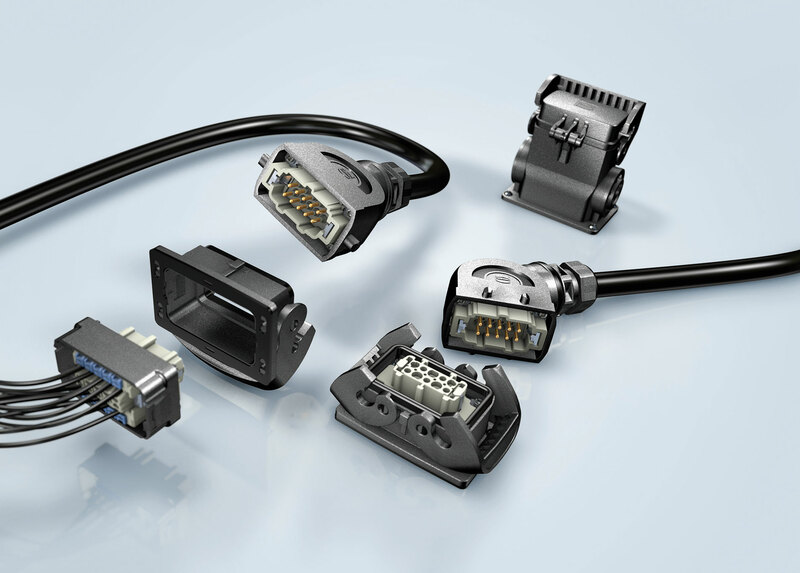 To provide device manufacturers with the appropriate interfaces for their miniaturization, HARTING has created a number of new, smaller alternatives to established sizes in the connector business. What used to be achieved with an RJ45 is now achieved by the ix Industrial. The ix Industrial is smaller yet more robust – and up to 10GBit fast. For applications in which the operator has to reckon with operating supplies or other environmental influences, the operator can use HARTING's M8 D-coded to supply sensors with Fast Ethernet that with an M12 would not have fitted all the way to their place of use. This train of thought does not end in front of the housing wall. This “diet size” miniaturization also applies for printed circuit boards. Here, the M12 Magnetics offers up to 30% space savings and simplified traces routing thanks to the clever integration of the transformer. Because the end of miniaturization is still far from being achieved, HARTING continues to pursue the path of T1/SPE transmission technology in research and development. In the spirit of "Connect & Collaborate", HARTING, as a solution provider in SPE transmission, seeks to close ranks with reliable technology partners such as LEONI and Reutlingen University of Applied Sciences. 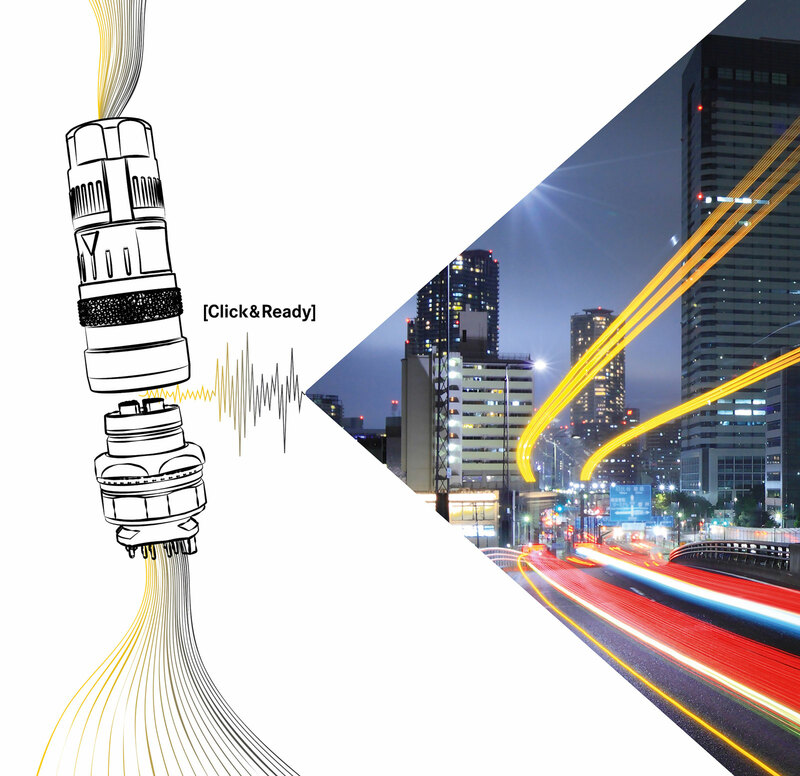 Single Twisted Pair Ethernet – one of the HARTING highlights at the HANNOVER MESSE 2018. No matter which option users choose, the Han® configurator makes mastering the topic of “connectors" easy despite increasingly complex requirements and generally high product diversification. The most important aid is clarity, which is achieved by the continuous vizualisation of component selection status using a 3D model. 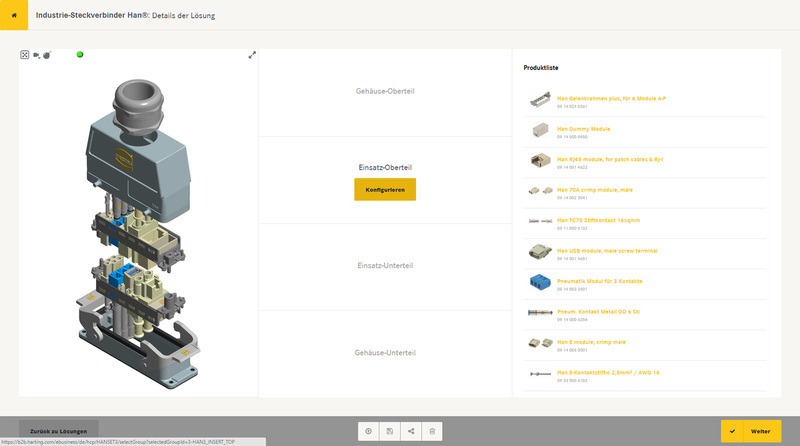 In addition to the technical data entered, the configurator also takes into account any decisions previously made. Parts that do not match a previously made selection are no longer displayed as an option. This makes it impossible to combine components incorrectly.